What does a side shot look like? The chrome pieces on top are confusing, but it looks similar to a Bates 700A. Yeah, thats what I was thinking. All the bullets I think were somebody's addition at one point. It's a tad bit different then the one you posted Brain, but that is super close. Perhaps a different model Bates. I did a Google image search for Bates and a few of the smaller unidentified images look just like it. Yes I think you are right a Bates 700A looks the same from the side. I remember the bullets as being in style at one time. Kind of like the christmas tree lights tailights. A friend of my dads have over 80 little lights on the rear of his electraglide. I am cleaning out my garage and didnt want to throw away a piece of history. 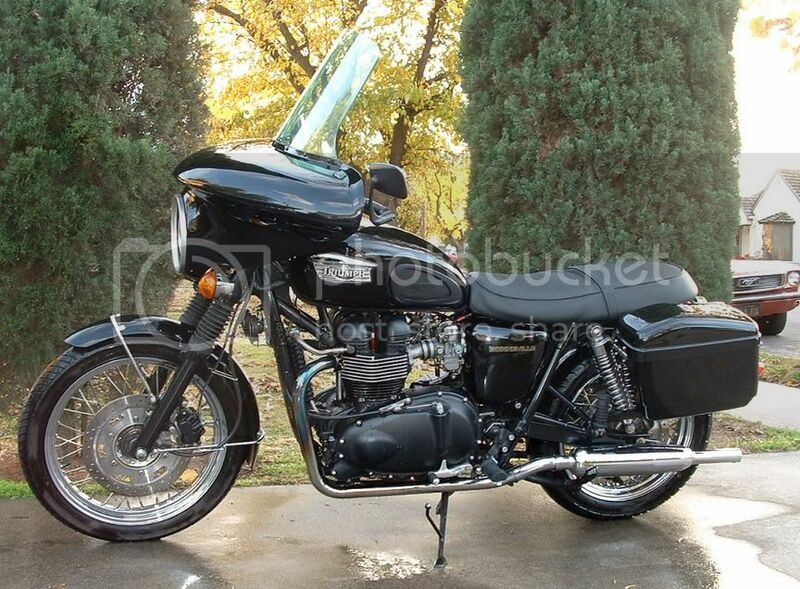 Is this fairing of any value? I have one of the Greater Hemispheres Roadrunners waiting in the corner of my attic to be redone an possibly put back into service. it's amazing how many things on it resemble Craig's designs. I think it looks like a 70's Wixom. I think it's close to the Wixom, however Tom, it to me looks more like a Bates. 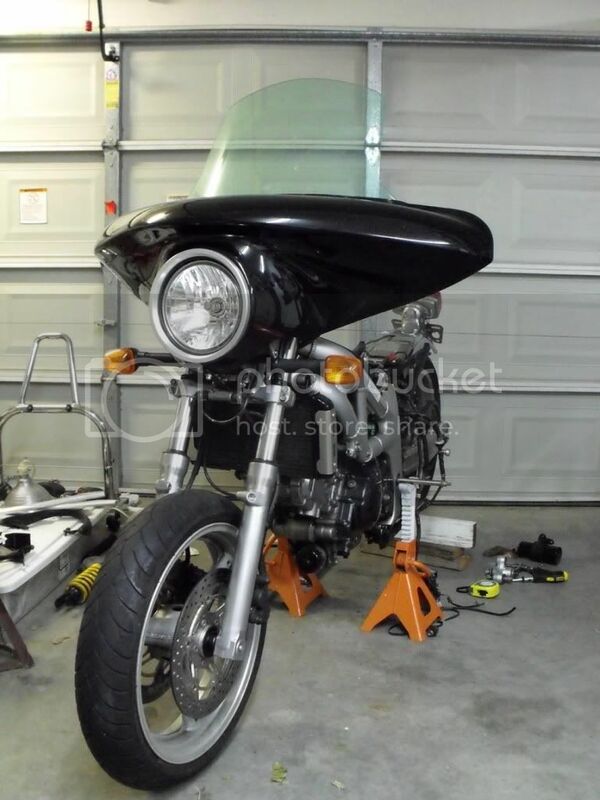 Also, seeing that he mentioned that the windshield said Bates in an earlier post, its possible the entire fairing is a Bates. Funny, on the bottom where the fork holes are looks closer to the Wixom Tom is showing, but the top looks closer to the Bates that Brian is showing. So many different fairings, especially when you get into the smaller companies. I found the picture on ebay. Look at the 1960 Wixom picture, it looks just like the fairing in question above. Yeah, in the illustration it is super close. I don't think it is a Wixom. I had one and it was much smoother looking than that one. Looked very much like on the Harley's. Kept the wind and rain off nicely but handling left something to be desired as do most handlebar fairings. I still vote Bates. Especially since it has a Bates labeled windscreen.